Ahh . . . those spring breezes are blowing. We have officially hit transition season; more warm days and less cool nights. As we rejoice about the end of winter, sometimes we get a bit confused on how to dress for the transition season. It’s cold in the morning, warm during the day, and cool at night. You don’t want to wear too many clothes, but not enough clothes will have you looking cold and crazy. That’s why I selected this week’s look, sponsored by Pink Blush. It’s the perfect example of what to wear when the weather is in this weird space. Take a look . . . 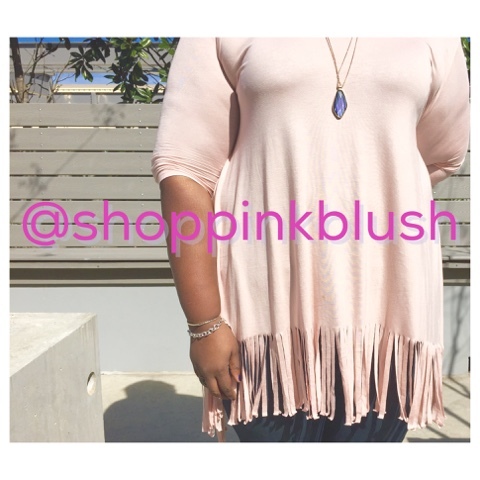 When the lovely folks at Pink Blush contacted me, I was happy to be introduced to a new plus-size retailer. Formally, Pink Blush Maternity, this company is transitioning to selling straight AND plus-size clothes. In addition, they will continue their maternity line, offering PLUS-SIZE maternity options! LISTEN! I love it! 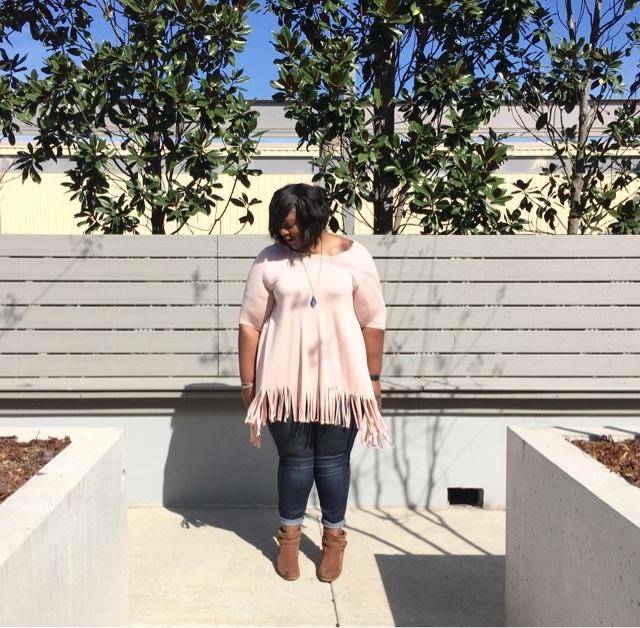 The vibe at Pink Blush is definitely boho-chic. The company is based out of California, so the breezy vibe is evident. You’ll find maxi-dresses, cute tunics, printed pieces, and some basics. When I received this shirt, I was more than pleased. It’s super soft, ultra comfy, and the fit is great. I’m six feet tall, so I loved how the shirt is long but not baggy. The fit is great. This look is a great look to transition with. The sleeves are just long enough to keep you warm but not leave you feeling too hot. It’s also the perfect type of shirt to layer under a long sweater or denim jacket. Of course, you need a great pair of jeans to help you maneuver through this crazy weather. These, from Torrid, are my fave. I can roll them up for a trendy look, or keep them down to wear with heels. Oh, and you gotta have a pair of booties to help you transition. When it’s not quite sandal season, but not quite time to put up the winter boots, booties are KEY! 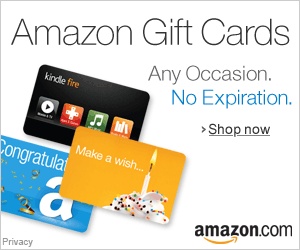 I’ll choose a lucky winner on Friday, March 11th at 8p CST. Good Luck!